The Wright Brothers, like Henry Ford, defied many of the typical notions of a famous inventor using the U.S. patent system to derive fame and fortune. They are amongst history’s most-famous inventors, their exploits well-known in their Ohio bicycle shop and on the shores of Kitty Hawk, North Carolina. But they never became titans of industry themselves, and ironically, merged with the opposing party of their patent war to become the Curtiss-Wright Corporation, which survives to this day (but doesn’t feature the Wright name first, amazingly, as Curtiss produced airplanes, while “Wright Aeronautical” made only engines). But we think of the Wright Brothers, not Glenn Curtiss, as the incredible inventors who amazed the world, but were only occasionally successful in practicing their invention, and did not go on to start a airplane maker. This was due in part to the fact that the Wright Brothers sold bicycles, only turning later to the complex problem of flight at a time too early to commercialize successfully. Much like pharmaceutical or biotech patents today, large investment would have been required to commercialize airplanes at the time of the Kitty Hawk flights, so the Wright Brothers should not be criticized for failing to widely profit from pioneering the aviation industry which exploded commercially after the World War II. Like Edison and others, the Wright Brothers took advantage of the patent system, and are the ones known for flight in large part because of their patent filed in 1903 for their “Flying Machine” (U.S. Patent No. 821,393), which introduced the system for controlling the flight of an airplane. It can be argued that they anticipated a market need and therefore are the world’s most famous patent “troll”, if that is the word for an inventor who secures financial and lasting success without ever significantly practicing their invention. They never intended to be seen that way, but maybe this is a situation where the patent system handled it properly. They spent most of their productive years pursuing infringers instead of building companies and sustaining a legacy. Their invention was ahead of their time, but the patent system properly compensated them in the end. Most famously, they sued Glenn Curtiss, in a patent war that lasted far beyond the court rulings, as Curtiss tried to both design around the Flying Machine patent and also show that others had devised the invention first. On January 13, 1914, the U.S. 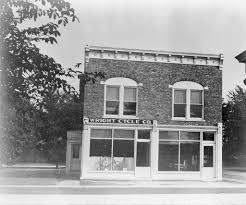 Circuit Court of Appeals affirmed the Wrights “as pioneers in the practical art of flying heavier-than-air machines.” Ironically, Henry Ford, who was no fan of being sued by inventors, lent his attorney to Curtiss to fight the Wrights (although he later became a friend to Orville, even displaying the original Wright Cycle Co. building at his Ford museum). 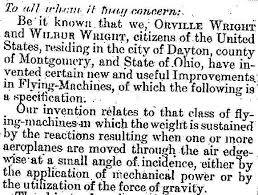 Curtiss was never successful at beating the Flying Machine patent, and the Wright Brothers took great pride in their sustained success in the courtroom. Their legacy is secure because of that litigation success, and while Curtis was more commercially successful (and has his name first on their combined company), we never think of him due to that patent success. We think of the Wright Brothers and their early tests at Kitty Hawk, immortalized in the Flying Machine patent later upheld against Curtiss and others. If the Wright Brothers had not fought hard to protect their patent rights, they may not be the daring and innovative inventors remembered by the history books.